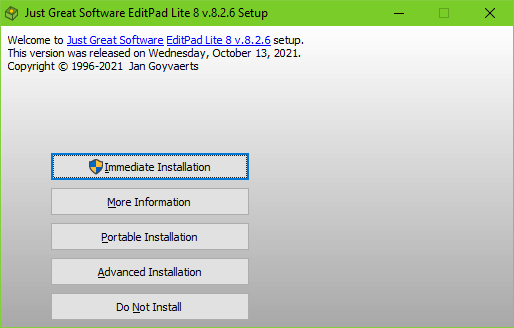 In this guided tour I will show you the setup process for EditPad Lite, packaged with DeployMaster. You can download EditPad Lite if you want to try the real thing. The real installer lacks a few things like the identity screen that are shown here for completeness, but not actually needed for EditPad Lite. You can walk through the tour by clicking the buttons on the screen shots.